February is gone and with it days of cutting out new creations for Easter to be listed in my Etsy shop in time for Easter Shopping. 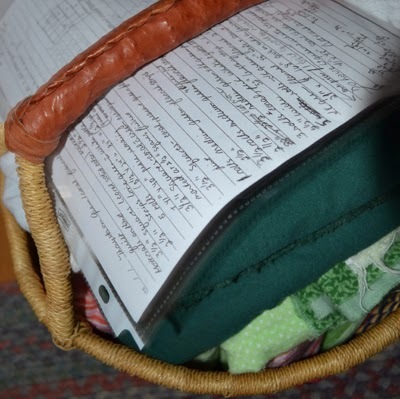 I have also stuffed my sewing baskets full of projects all ready to be stitched for spring. 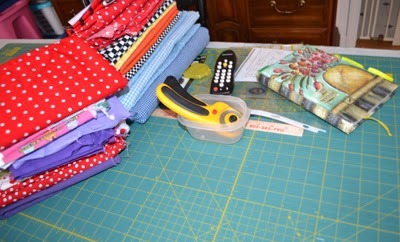 I love to cut and my days aren't long enough to sew all I want to do! I have also been busy re-organizing my studio spaces. It seems to have a domino effect; one change brings another and then another. It all started with planning for a friend to come and needing to make my studio double as a guest room. Wool bins in storage area. 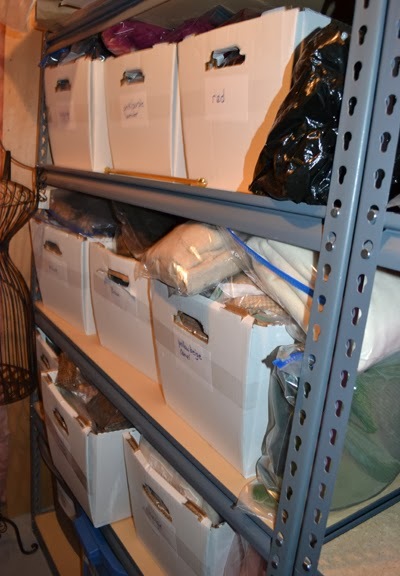 My bins of wool fabrics got moved into my closed storage area to eliminate any remaining moth ball odor, though mostly gone now that all my wools are sealed in bags. 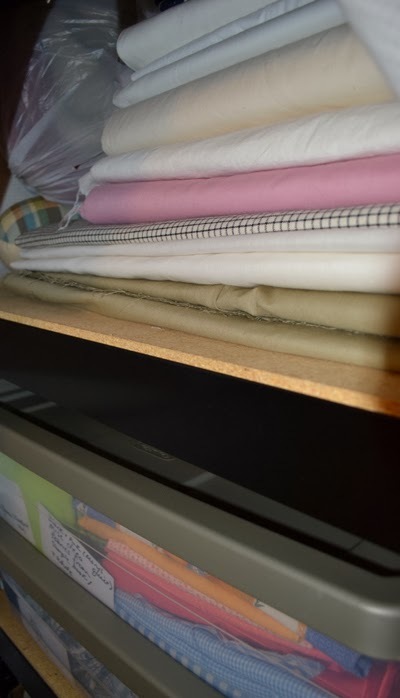 My other fabrics have been re-organized, consolidated and stored in my finished studio/guest room space. This had been an daunting task, though I find that the more organized I get, the more such switches are not as difficult as I thought. Being a serious sewer, I am finding that I cannot be too organized. My materials are all sorted as to type, color, and special collections. My notions all have bins of their own and are easily accessible. It has been a work in progress! Even my UFO's (unfinished objects) have their storage spots as well. 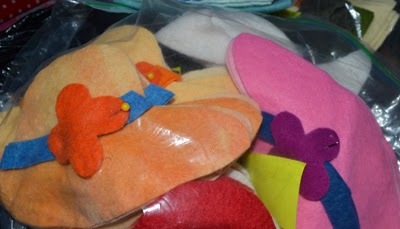 As I rearrange my sewing collection, my brain whirs with new ideas. Even my sewing books and patterns needed to be a bit better organized to more quickly find what I need and as with any sewer, my collections seem to grow. 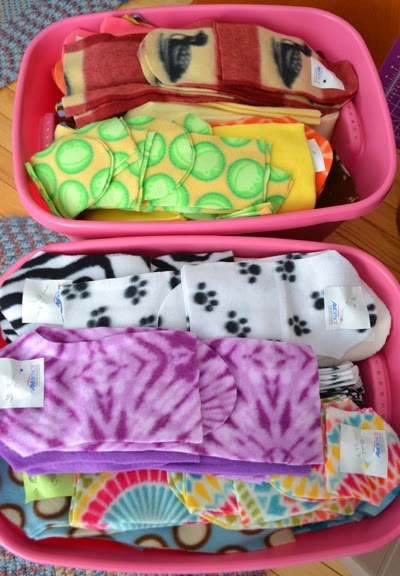 I can't help checking out Yahoo's Sew It's For Sale group each day scouting for good deals and am pleased when they find me! 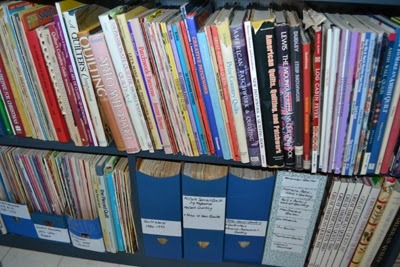 Upstairs sewing room: pattern boxes and books by subject. I am sometimes overwhelmed by it all! 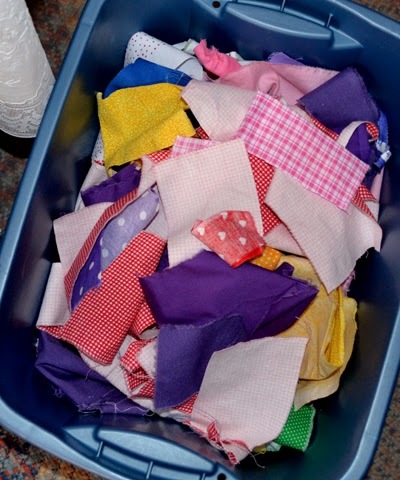 Who in their right mind and at my age up-sizes instead of down-sizes, but as I have said before, I am planning for my family to celebrate my death with a grand estate sale and invite all sewers, quilters and crafts people! I have learned from other estate sales, that if my materials are planned and cut, I need to include the pattern and notes regarding each project with them, so others can make sense and finish what I have started or at least know what they would be purchasing. I have decided after reading Theresa Rawson's articles on her blog, FabricTherapy that putting my pattern and plan together in a plastic sleeve will be helpful. I am also going to add my notes so I can better remember where I left off, which will facilitate picking up the project and knowing where to begin again. I am not going to waste my time feeling guilty about the way that I work, hopping from one project to another. Sewing is what is important and I have it on good authority that people who stay engaged in creative activities live longer than others that don't have such plans! I am aiming to live to the ripe old age of 104, which means that I should have 38 more years to stitch away and if not, it will be a sewer's delight to come to my final estate sale! Pattern, and notes are all kept in a plastic sleeve. Thank you Theresa! I thought my ideas crazy until this last week, when I found Theresa's special blog mentioned above. She creates the most beautiful quilts and always works on multiple BIG projects. She credits her productivity to her organization of her materials. 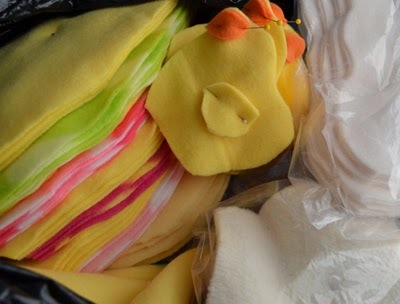 Her studios are set up in such a way that nothing is wasted-- materials, time or energy! 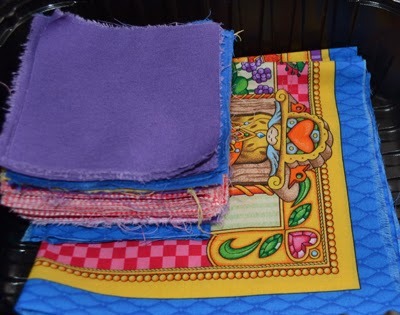 I am learning much from her and am thrilled to know just how possible it is to finish quilts like I have learned to do with my smaller craft projects! It was self-affirming to learn that others work on many projects at a time and start new projects before finishing old ones. My trip to Country Treasures Quilt Store also connected me with other like-minded individuals who can't stop sewing and have as many or more UFO's than me! I am learning to cut using plastic stencils and a rotary cutter! Torn strips ready for pressing, per my quilt instruction before rotary cutters. A bin for scraps of odd sizes to be recycled. I am learning! Everyday is filled with possibilities and it is such fun to get up every morning to create and sew, in between those other tasks that I am not so thrilled about doing (laundry, cleaning, and cooking). 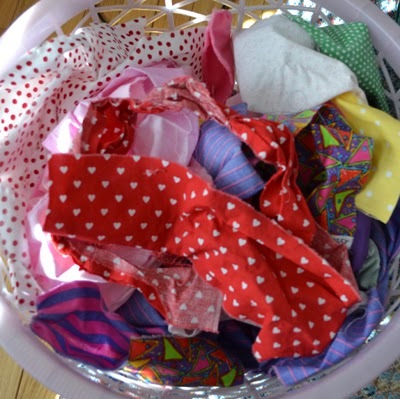 How exciting to have baskets filled with projects ahead, some for hand-sewing and some for machine! Though I am clearly not done yet!